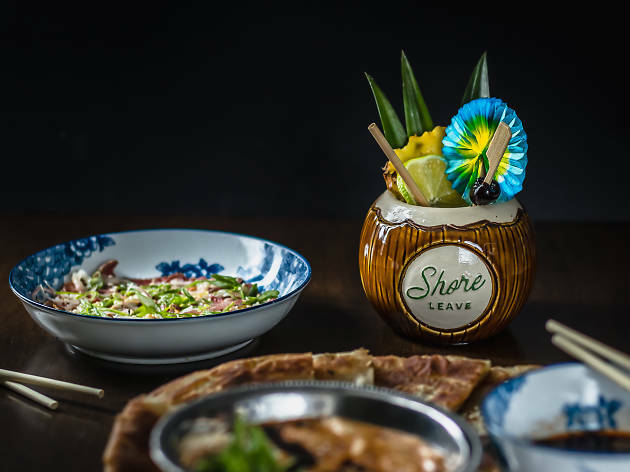 The South End has a Tiki destination courtesy of the team behind Bar Mezzana, which is located across the street. Chef Colin Lynch’s menu features a mix of Pacific Rim dishes—think Asia- and California-inspired treats. 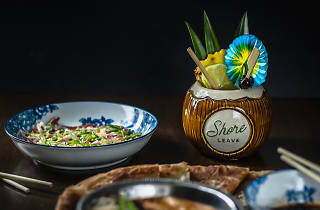 The Tiki cocktail program combines classics (Mai Tai, Zombie) with creative, multi-component concoctions. The interior is meant to resemble a tropical oasis, complete with a long, bamboo-accented bar and jungle-inspired design touches.